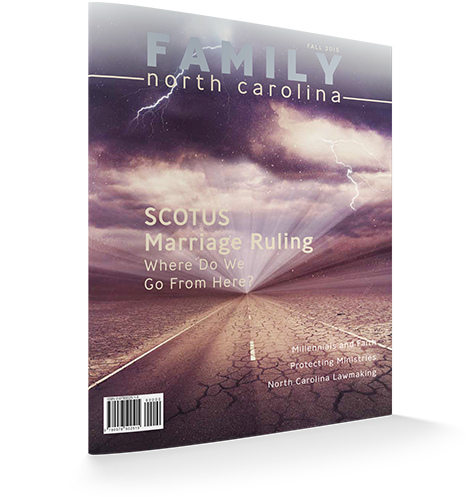 The North Carolina Family Policy Council publishes a quarterly magazine, Family North Carolina. A one-year subscription is available for a suggested donation of $16. Click here to subscribe online or write the North Carolina Family Policy Council at: P.O. Box 20607, Raleigh, NC 27619. You may also call us at 919-807-0800 or email us at admin@ncfamily.org. SCOTUS Marriage Ruling: Where Do We Go From Here?